What should you do when you have no motivation? This is the question that we all want answers and every one of us wishes that we can stay motivated and pumped up all the moment without feeling depressed, lack of drive, or have no mood to do something. The truth is that motivation comes and goes, but we can learn to take control of it and manage it wisely. Motivation is a hot topic because everyone, literally everyone in this world has days when they feel no motivation and want to do nothing at all. It is a feeling that we all experience in life. There will be days that we’re feeling so motivated that we are so excited and take massive action. On other days, we feel like a slump and feel like don’t want to anything at all. Perhaps, all you want to do is to continue to lie on your bed or on your couch. If you are searching for solutions and suggestions of what you can do when you have no motivation and you found this article, I must tell you to stop searching for the solutions, instead, do something about it. Try to perform a search for “motivational books” on Google and you will discover that there are thousands of books to read. People talk about motivation too much. Almost every year, there are books being published about this subject. There are also plenty of courses on motivation waiting for you to discover. You can read a book and get motivated right away. The problem is that the motivation will never stay for long. Sometimes you feel motivated for a week, sometimes a day, and sometimes you feel it for just a couple of hours. So what you need to do right now is not to search for the ways to get motivated, but instead, you should find out the why you’re not feeling motivated. Imagine you’re trying to fill water into an empty bottle. If there is a small leakage at the bottom of the bottle, eventually, all the water you poured in will leak away. Unless you patch the leakage or use another bottle, no matter how much water you try to pour in, it will eventually run out. You can increase your effort to fill the water faster, but no matter what you do, the water will leak because the bottle is flawed. The same goes for your motivation. This is why identifying the root causes of your lack of motivation is crucial. You can read my previous blog post about the 52 motivation tips, but if you don’t find out the causes, it will take you a lot of energy and effort to stay motivated each day. The key is to identify the leak, and then do something about it. You want to find out exactly why you have no motivation and implement the right solution to it. By doing so, you can make your motivation last longer, at least. And it also saves you a lot of effort and time. Don’t get me wrong, motivation will fade and it never lasts. This is because circumstances can change and you will also change. Years ago, I used to be obsessed with playing games, the first generation of Sony PlayStation. I can spend my entire day playing the games. But today, things are different and I’m no longer obsessed with games anymore. As you can see, things can change and so with your motivation and desire. I hope that you understand why it is important to identify the reason why you have no motivation and apply the right solution to it by now. Here are some of the most common root causes why people lack motivation. Go through them and find out which one explains your situation. I have also included solutions and suggestions of what you can do to each of the root causes. Hopefully, after going through this article, you will have a crystal clear reason what is causing your lack of motivation and what you should do about it. This is ultimately one of the most common reasons why people have no motivation most of the time. People set goals. They have dreams and things that they want to achieve in their lives. The problem is that most of them are fearful of the uncertainty. 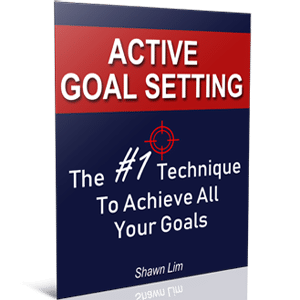 They have no idea if they are able to achieve their goals, if what they do can bring them the results they want, and if their goals are really worth their effort. Think about it, if your success is guaranteed, will you take action? If I grant you the “Midas touch” ability where every business you venture into will be a great success, will you start a business right away? People will say yes because if their success is guaranteed, there’s nothing to afraid. So they will just do it. On the other hand, when there are uncertainties, the unknown will stop most people from trying. People often worried if things don’t work out or if their plan is not going to work. And this uncertainty transforms into the fear that stops them from taking action. Let me ask you this question, if you want to start a blog, and I tell you that in order to build a successful blog, you need to spend 5 hours a day building the content, and put in another 3 hours into marketing your blog, and guess what, you have to do this every single day for the next 5 years, there will be no off days for you, are you going to do it? If you have goals and you are not feeling motivated to take action, one of the main reasons could be your fear of the unknown. You are afraid that after you poured in your effort, things are still not working in your favor. Let me tell you this, my friend, nothing in this world comes with a guarantee. I mean the decisions you make in your life, not the kind of guarantee you get from buying an iPhone. The action you put in today may mean nothing in the future. But there is a chance. Taking action may not guarantee your success, but if you are not going to do anything about your dreams and goals, nothing will happen, I’m sure of that. The fear of uncertainty is not real. It is all created within your mind. You project yourself into the future and think about all the negative outcomes that may happen. And this is what is causing you to lose your motivation. If the fear of uncertainty is what stopping you from taking action and kills your motivation, what you can do is to learn to enjoy the process. If your goals and dreams are important and valuable enough to you, you should do it, even if you are going to fail. One key thing you must understand is that failure is not the opposite of success, in fact, it is part of success. Failure and success are on the same side. Without making failures, you will never learn. And if you’re not learning, how in the world are you going to improve and do better? So don’t be afraid of the unknown. Embrace the unknown and make it an adventure. It is because of the unknown that life is meaningful and exciting. Imagine if everything you do is predictable and you already know how things are going to turn out, there will be no surprise, how boring is that. Your future is supposed to be full of adventures and unknown. After all, it is the uncertainties that make life exciting. Hence, take it as a challenge. Make life adventurous. And more importantly, enjoy the process and your journey. You don’t have to be afraid of the unknown. It is the unknown that makes life great. Have you ever feel like you’re no good and amount to nothing? You feel like no matter what you do, you will eventually fail and regardless of how much effort you have put in, nothing seems to work. You feel inferior and worthless. This is another common reason that makes people lose their motivation. Whenever you feel inferior and that you’re no good, it instantly kills your drive and put you in a lousy state. Feeling of inferiority, insignificant, or worthless can be good at times. When you see someone who is doing much better than you, you feel that you are inferior and you want to do better just like him. According to psychologist Alfred Adler, the feeling of inferior can be healthy. It makes you driven to want to learn and perform better. The problem comes when the feeling of inferiority paralyzes you. An extreme feeling of inferiority can make you succumb to shyness, social anxiety, feeling worthless, and prevent you from taking action. There are a couple of reasons that can make you feel inferior in your daily life. For example, when you’re being extremely sensitive and you care too much about what others say or think about you. Another common reason people feel inferior is due to the idea where psychologists called “social rank theory”, where how you feel and act inside is determined by how you perceive your social status or rank. This submissive behavior is becoming more common these days because of social media. What you can do is to build a bunker to prevent yourself from comparing with others or letting others influence your thinking. You don’t have to feel inferior or feel that you are “lower” than others. God makes no junk, my friend. Everyone has their own calling and they are meant to do something worthwhile in this world. The famous Hong Kong actor and director, Stephen Chow, once said that everything in this world has their own function and purpose; even the toilet paper is created with a purpose to serve human beings. Thus, the first step you need to take to prevent inferiority is to build a bunker to stop the feeling from attacking you again. If you can’t fully get rid of it, try to lower the intensity of the feeling. For instance, if you always compare yourself with others and end up feeling inferior, stop comparing yourself to them. The second step you can take is to boost your self-confidence. When you feel inferior, your confidence is at its lowest, and to overcome this, you must boost your level of confidence. Here’s a simple way how you can do it – by celebrating even the smallest victories. Give yourself a pat on the back, feel proud, praise yourself, celebrate, and reward yourself the moment you make some progress, no matter how small it is. You want to build your confidence so that you can build the momentum and feel motivated again. And when you are motivated, you will never feel inferior. This is the time when you will say, “TRY ME”, and not “why me”. This is another big reason why people have no motivation to act. They focus on the negative rather than the positive. They created all sorts of negative thoughts in their head, and as a result, they self-sabotage and kill their own drive. I have seen this happened to many people, including myself. There are times when I lost myself in the negative thought cycle and can’t help but to keep thinking about the negative things. I worry and afraid of things that are never real, and focus on the negative thoughts that prevent me from going forward. If this is happening to you, don’t worry, we’re human beings and we tend to gravitate toward negative news. All you need to do is to be aware and then get yourself out of there. People are more interested to discuss and talk about negative things. When an email headline expresses negativity, the open rates will be higher. Studies have proven this and I have tested this myself. People will slow down or stop to check out an accident on the highway, but not much people will slow down or stop for the beautiful flower by the roadside. In other words, negativity sells. But in this case, negativity can kill your drive and put you in a low or no motivation state to take action. This is often easier said than done. It is a little difficult to stay conscious of your thoughts and be aware of what you think about most of the time. It is hard for angry people to be aware that they are being controlled by their anger. The same goes with negative thinking. When you are in the negative thinking cycle, it is difficult to be aware that you are thinking negatively. Unless something catches your attention, such as if someone tells you about it and you start to gain the awareness. What you need to do is to switch your focus. Rather than thinking negatively, focus your thoughts on something else. There are a few ways how you can do this. First, you can create triggers like using motivational posters to keep yourself in the positive state. Or you can also review your goals each morning to make sure that you start your day strong and maintain the positive energy throughout the day. A vision board can also work the same. Besides that, you can build a supportive team or find an accountability partner. This is why every successful athlete has a coach. Their coach not only trains them, but also encourages them to do better. The key is to stay aware of your thoughts and whenever you find yourself thinking negatively, switch your focus and think something positive. You can also revisit your goals, your dreams, and also your purpose why you want to achieve them. Having absolute clarity for what you want clears out all the negative and the uncertainties that stop you from moving forward. When you know exactly what you want to achieve and you are constantly holding the thought in your head, nothing can stop you. Your motivation will be high and your action will be purposeful. First, if this is what is happening to you, I must congratulate you. You’re feeling contented because you’ve accomplished something and you are satisfied with your current result, which can be a good thing. However, if you’re not doing anything about it, you stop improving, you stop challenging yourself further, and you stop venturing out of your comfort zone, the feeling of contentment can kill your motivation and stop your progress. There is also another type of contentment, false contentment. This is a self-deception that makes you believe that everything is great where actually, it is not. When you fall into the trap of false contentment, you will feel lazy and totally unmotivated to take action. Feeling contented is good, but if it is stopping you from progressing and improving, it will be bad. Don’t get me wrong, feeling contented and being grateful can be great feelings, but never let these feelings stop you from becoming your best. Oftentimes, people lack the motivation because they succumb to their current situation, without having the desire to breakthrough and get out of their comfort zone. You have to understand what kind of satisfaction and contentment you are experiencing. Feeling grateful is awesome, but feeling contented and never want to improve is not ideal. If you want to know whether you are making progress or stuck, just take a look at your life. Do a review and compare yourself with your previous self. Are you making any progress? If you are living this year the same as last year, perhaps, you are not making much progress. Now, I’m not saying that repeating each year and producing the same result is bad, but as human beings, we should aim to improve and get to higher ground, right? This is especially true if you are in business. You will never know what will happen in the future. Look at Motorola and Nokia, both were once the market leaders in the mobile industry, but because they were slow to adapt to the changes, the competition put them out of the game. You definitely don’t want that to happen to you, right? Therefore, reignite the fire within you and set more challenging goals. To smash the feeling of contentment is easy, just compare yourself to someone better than you. If you are earning $10,000 a month and the financial stability and the comfort kill your motivation, talk to someone who’s earning $1 million a month. It will open your mind and widen your perspective. Of course, this is just an example and you don’t have to be materialistic. Perhaps, you can motivate yourself by thinking how many lives you can touch and inspire. Or how many good things you can do to the world. Set challenging goals that inspire you. Stop living in your comfort zone and it is time to reignite your desire to achieve more. This is exactly what you need to do when you have no motivation because you feel overly contented. Motivation has a lot to do with energy, and in order to keep your energy level high, you must maintain a healthy lifestyle, both physically and mentally. A lot of people thought that motivation is all about getting the mood up and it is all about the tricks, but a large part of our motivation actually comes from our physical and mental energy. A study published in 2010 conducted by Jonathan Leval, Shai Danziger, and Liora Avniam-Pesso of Columbia and Ben-Guron Universities looked at 1,112 judicial ruling over the course of 10 months concerning prisoner paroles. They found that right after breakfast and lunch, your chances of getting paroled were at their highest. On average, the judges granted parole to around 60 percent of prisoners right after the judge had eaten a meal. The rate of approval crept down after that. Right before a meal, the judges granted parole to about 20 percent of those appearing before them. The less glucose in judges’ bodies, the less willing they were to make the active choice of setting a person free and accepting the consequences and the more likely they were to go with the passive choice to put the fate of the prisoner off until a future date. This means that our willpower and energy deplete as we go through our day. For instance, I use my morning to write content like this article. In the afternoon, I found that it is difficult for me to concentrate and I’ll be easily distracted. I guess it is because I have used up most of my willpower and drive in the morning for creative writings. In life, we’re tempted to skip lunch, breakfast, or eat junk food to keep our stomach full. We have never thought that this is actually a bad move because it affects our productivity and also our level of motivation. Not only food but physical exercise too. Try to watch TV the entire day and then try to focus on getting your most important work done in the evening, I bet that highly likely, you’ll procrastinate and won’t do it. If you find yourself having no motivation to work because you lack the willpower and energy, perhaps it is time to change your lifestyle. There are reasons why highly successful people are active people. They practice an active lifestyle where most of them choose to exercise in the morning before they start their day. Barrack Obama workout and exercise 45 minutes a day, six days a week. Billionaire Mark Cuban gets at least an hour of cardio per day. Facebook founder, Mark Zuckerberg works out three times a week. Respected entrepreneur Richard Branson exercise, play tennis, and surf almost every morning. You can check out the exercise habits of highly successful people from this list. So make exercise part of your routine. Furthermore, eat healthily and consume nutritious foods. More importantly, keep your willpower strong by taking regular breaks throughout your workday. And get enough sleep. When your energy level is strong, you will find that you are more motivated to do things. Have you ever had the feeling where you’re trapped and whatever you do seem amount to nothing and you’re like going nowhere? And because of this feeling, you lose your motivation and choose not to do anything at all? Perhaps, you have a dream of running your own business and becoming your own boss, but somehow, you tried, and you failed. Eventually, the feeling of being trapped and going nowhere grow stronger and now you lose your motivation and are afraid to take action again. When you’re feeling trapped and are going nowhere in life, one of the best things you can do is to read books. Read books about how others who have gone through a similar situation like you, manage to bounce back. For example, if you start a business but fail, for three times, and you have lost your motivation, go and study other successful businessmen who have gone failed many times but did not give up. What you need here is a new hope. You need to reignite the possibility into your life and believe that your dreams are possible again. Therefore, commit to reading books each day. And if you no idea what books to read, here’s my personal book recommendation. Go and network with other successful and positive people. Let their thinking influence you and make you believe in yourself once more. The key to living a great life is about learning from your mistakes. Always remember, failure is NOT the opposite of success, it is part of success. You definitely need to go through some failures before you can discover the success you want. It is not whether you are going to make mistakes, for mistakes are inevitable. The question is, what are you going to do when you fail? Are you going to learn from it and bounce back higher? Or are you going to let the failure stop you from going further? It is all up to you my friend. You don’t have to feel stuck or trapped. Your journey doesn’t end where you are, pick yourself up and move on. This is another common reason people lose their motivation. They started strong, but somewhere down the road, they lose the meaning, purpose, and passion. And they find it difficult to keep up because they have no more motivation to continue. When what you do does not serve your purpose, you will have no motivation to do it. This is why having a strong, clear, and emotional purpose is important in achieving what you want in life. If you want to build a successful blog, but you have no motivation, most likely, it is because you don’t have a strong purpose to support that goal. Why do you want to spend hours each day, writing content, do something that you dislike, where it does not serve your purpose, and you have to give up your leisure time to do it, right? This is why you need to have a purpose and passion for what you do. Without meaning, purpose, and passion for what we do, we will never do it. Just like what Steve Jobs said in an interview. He said that success is so difficult that people who have no passion and don’t love doing it will quit the moment things become tough. If you need more thought-provoking questions to help you rediscover your purpose and reignite your passion, read this article. Make your goals as exciting as possible. Make what you do so exciting to you that you will want to jump out of bed early in the morning to do it. When things become overwhelming, they block your mind and prevent you from moving forward. You’re stuck because there are so many things to do, to discover, and you have totally no idea where to start. Although that it may be good to feel overwhelmed once in a while because you want to push yourself out of your comfort zone, but if this feeling persists, it may cause paralysis and immobilize you. Imagine your day is full. You wake up at 5am, work on your website for an hour, get your kids up, take bath, prepare breakfast, send them to school, go to work at 830am, and you have to work until late night and by the time you’re home, it is already 9pm. The story continues… You need to take your kids to bed and there are still many things need to get done, but you realize that it is already 11pm. And you have to repeat the same thing all over again the next day. How does this make you feel? Overwhelming? If this is just happening for a day or two, it will be fine. But if this situation continues for years, you will definitely feel overwhelmed and the thought of it will make you lose motivation instantly. First, do not overestimate yourself. I plan my day and write down the things that I need to get done on my list. I discovered that the most I can do are about 3 to 5 items. If the list gets longer, my day is going to be crazy and I won’t be able to complete the tasks. Hence, I keep my list short, about 3 to 5 items to work on each day. Maybe you can work faster and more efficient than me, but whatever you do, don’t overestimate yourself. More is not merrier. You want to get the most important and high-impact work done here, not just any work. So keep your list short and do what is most important to you first. Then, schedule and take regular breaks. You want to have time to recharge your energy and keep your motivation strong. Finally, chunk your work. Try to focus on the bite-size rather than trying to accomplish the big task at once. A good way to handle this is to use the One-Minute Rule, where you focus on doing your work for just one minute. Remember, Rome was not built in a day. The same goes for the success you desire. It is not a sprint, but a marathon. You can go slow, but don’t stop. Make progress each day and I’m sure you will get there eventually. When you are depressed, you will have zero motivation to do things. In fact, chronic depression and other mental illness can take away not just your motivation, but also your focus, self-esteem, decisiveness, and more. If you allow it, depression can drain your energy and even take away your will to live. It can be a serious problem and must be dealt with. This is often where the depressed person can be, mistakenly, thought of as lazy or apathetic. A depressed person’s lack of motivation is not the same as laziness. When someone is lazy, they don’t want to do work or do unpleasant tasks, even when they have the energy to do so. They may be motivated just fine, they simply don’t want to exert themselves in any way. If you are showing the symptoms from the above, it still doesn’t mean that you’re suffering depression. Perhaps, you suffer insomnia because you have more stress lately. And after the problems solved, insomnia will be gone too. Thus, you may want to look more deeply into your daily routine before you conclude that you are suffering depression. Of course, if you need help, by all means, consult a doctor. It is important to maintain an active lifestyle. Getting out of your bed and go for a walk is a great idea to overcome depression. Exercise helps your body to release endorphins, which makes you feel good. Also, be active and socialize with others. You don’t have to cage yourself and shun from meeting others. You can meet with positive people and socialize with them. Plus, volunteer and help out. Helping people who are in need can improve your mood. And if you need to, consult a doctor. If you’re reading this, you’ve come a long way. We have covered a lot of grounds. Now you know the common causes of why people have no motivation to act and the solutions to overcome it. However, before you go, I would like to share a secret with you. Do you want to know the ultimate key what you need to do when you have no motivation? My friend, motivation comes when you act; when you are in motion. If you choose to stay on the ground and are not making a move, guess what, you will continue to have no motivation because nothing changes. No matter what you have learned here or what tricks or techniques you have learned, the key to getting motivated is in the application. Get yourself moving. Do something, anything. When you have low or no motivation, do something, even if it is a small act, it will build your momentum and the motivation will come automatically. Now you know the secret to motivation, so do it. Let me know if this article helps and share your thoughts with me in the comment section below. I’d love to hear from you.